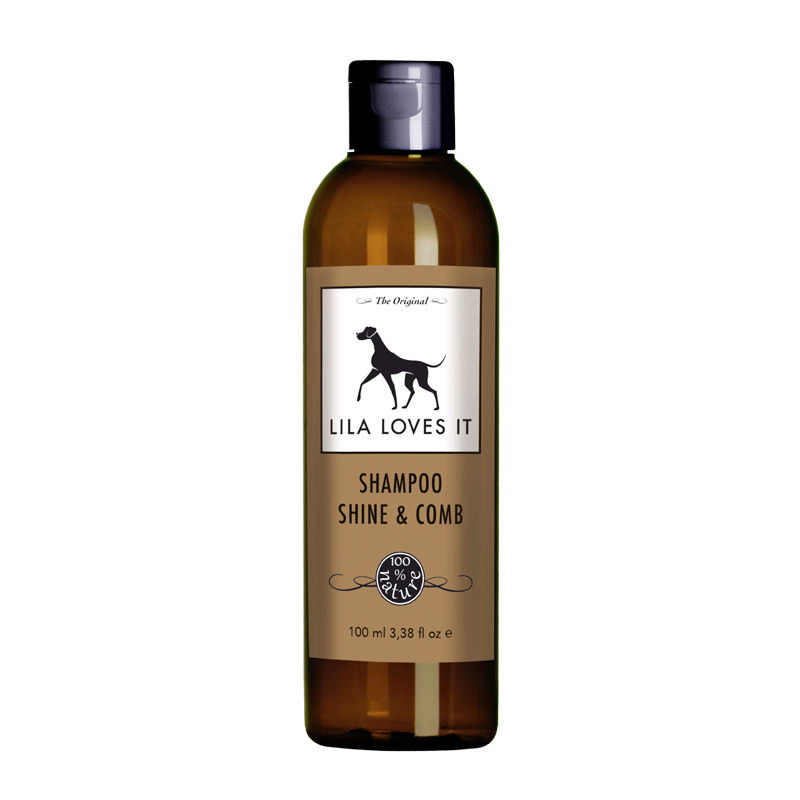 SHAMPOO SHINE & COMB is a mild, pH-balanced shampoo based on natural ingredients, such as natural oils and botanicals and helps to easily comb the shiny fur. 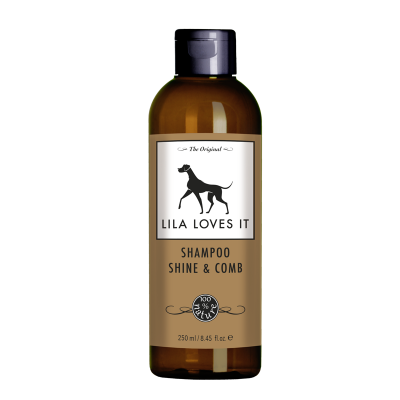 The combination of jojoba, macadamia and coconut oil, lavender, vervain an yuzu with sea salt pampers the fur naturally and give it the nutrients it needs. 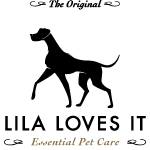 Designed for easy fur care while protecting the sensitive skin of your dog. SHAMPOO SHINE & COMB is a concentrate. This mild pH-balanced shampoo can be used very sparingly. After the lathering, completely rinse your dog with lukewarm water and gently towel him dry. SHAMPOO SHINE & COMB should not be applied in the eyes. In case of contact with the eyes we recommend carefully removing the product with a sterile cloth. 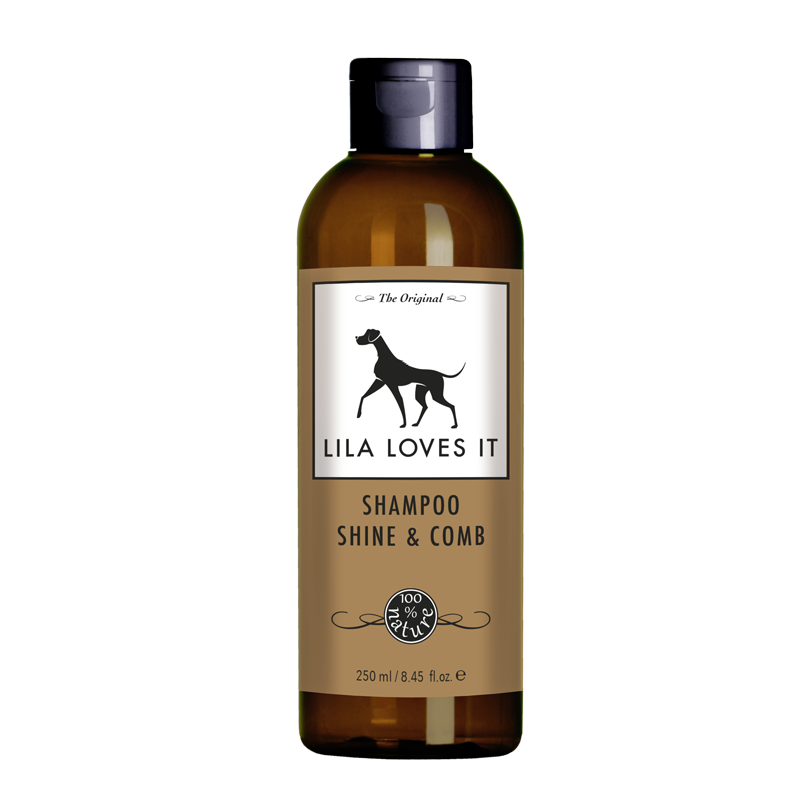 After shampooing long-haired dogs, we recommend using our LILA LOVES IT INTENSE SILKY & SHINE.